Complaints against nurse assistants are almost as common as complaints against nurses and doctors, unfortunately most people who work in the health care industry are labeled with less flattering descriptions all of the time. Nurse assistants are often criticized without really understanding their role, or the volume of work they need to do during shifts. Consumers complaining about nurse assistants are in the most part only verbal, rather than litigious, and nurse assistants who follow their training guidelines can minimize consumer complaints. It’s easy to label the nurse assistant a ‘wanna be’ nurse, or a trainee nurse, and any number of other phrases due to having less training than a registered nurse, and without understanding the valuable role played by CNAs in the modern health care environment some of these labels seem to be valid. The trouble is that many patients or visitors in medical facilities don’t understand the nurse assistant role, and seeing a person in uniform monitoring patient stats is confusing. Educating the public about the role of the nurse assistant is likely too large a task and ultimately ineffective because most consumer complaints aren’t really about the person, they are a mirror of patient frustration over the cost of medical care, waiting times, perceived poor service and a host of other problems, and sadly, the nurse assistant as a frontline team member is often criticized the most. The most common consumer complaint is that nurse assistants don’t spend enough time with patients, that they are always rushing, there is always another patient who needs them more, that nurse assistants spend too much time hiding from patients and not enough time working with patients. These are all common and unlikely to be a surprise to an experienced nurse assistant, but people new to the industry might find these comments unfair. Dealing with consumer complaints is partly a management responsibility, and partly the responsibility of the nurse assistant who needs to be aware that while on ward duty they are in the public eye and what they do can affect how patients and visitors perceive them. Robotically carrying out their duties without greeting the patient and taking time to have a short conversation are amongst the biggest causes of consumer complaint. Developing the skill to interact with patients whilst helping them with their grooming or changing linen is an important skill. Lack of time due to workload means many patients will be forced to wait, sometimes for hours, for assistance that any other person may consider a minor inconvenience. 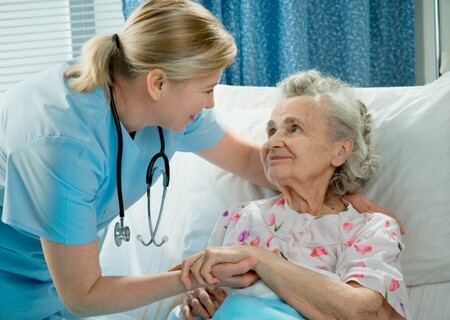 Adjusting a bed so the patient can watch TV, or closing the curtains, or helping a patient get to the bathroom are things that take only a short time for an able person, but an overworked nurse assistant who isn’t able to attend to these patient needs will likely become the reason for consumer complaints. Prioritizing tasks and making time to deal with patients who need extra help is largely a time management issue that the motivated nurse assistant can alleviate by being aware of their surroundings and the frustrations that build up amongst patients before they become a cause for complaint. My mother was in a nursing home and had the worst experience from a nurse aide and it was so horrifying that am at a lost how a nursing care facility can hire someone like this to take care of my mother . i think her name is Folake Akere She is so uncaring,sleeps on the job, mixes up her meds and yet she s assigned to my mum. i cant understand this i will have to reach out to Virginia Board of Nursing. Thats what you get when you hire these immigrants with no experience .